Thai meals always include a vegetable dish, either stir fried or just raw vegetables. I love vegetable dishes, particularly stir fried. 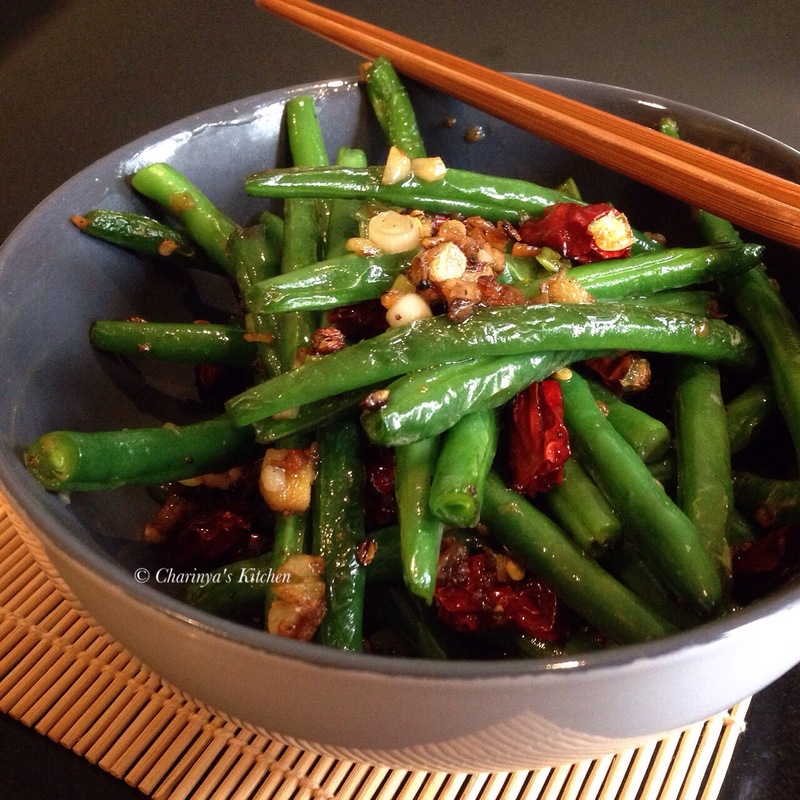 This stir fried green bean with dried chilli and Sichuan peppercorns is a distinctly Chinese dish but is seen a lot in Thailand as there are many Thai Chinese and the two cultures frequently blend. This recipe was inspired by one of the food bloggers I’m following. The dish is so simple and I bet you will love it. • Heat the oil in a wok at medium hot. • Fry the beans in 2 batches until the beans soften. Remove from the wok. • Remove most oil from the wok leaving just 1 tbsp. 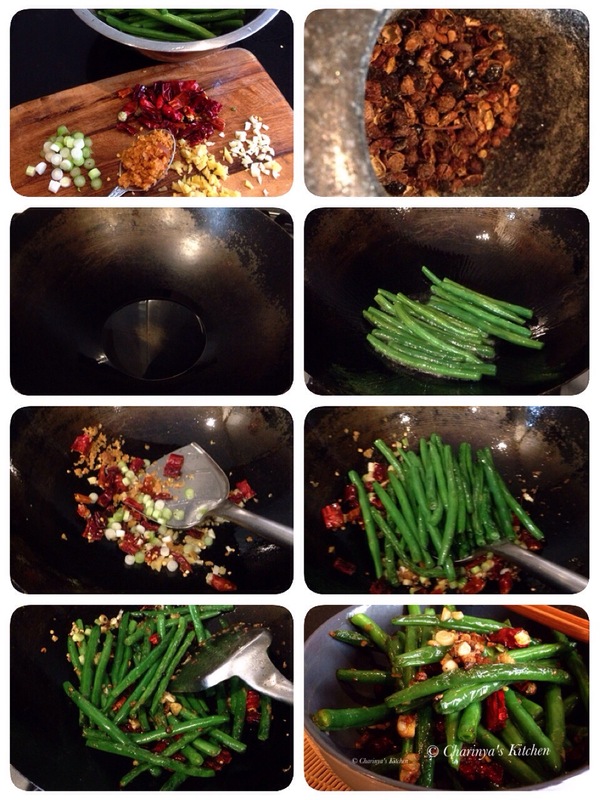 • Return the beans to the wok along with salt, seasoning powder and Chinese cooking wine. Mix well and turn the heat off. Fantastic! I love green beans! !